The Venezuelan people have made their choice. You, the faithful ally of Hugo Chavez, have been elected President of the Bolivarian Republic of Venezuela. Your victory is encouraging citizens of your country and ensuring that the building of social housing, clinics and schools will be continued, that there will be free education and Venezuela will continue independent domestic and foreign policy. 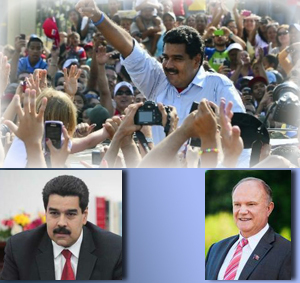 This entry was posted in Articles, Information Materials, Uncategorized and tagged Congratulations, Maduro, Rusia, Russia, Venezuela, Victoria, Ziuganov, Zyuganov on April 17, 2013 by International Department.